I remember when I made the decision together with my husband to move to China. We were living in London, and our living costs were blowing through the roof. Moving to China where we would land in a bed of money seemed like the easiest thing to do. We had some money saved, but not much, and we were desperate to be taken care of. We would get a housing allowance, and my husband’s company would pay for our move there. A done deal, we mistakenly thought. Turns out we had a lot of hidden costs that we did not foresee. Some of these costs were stupid from our side. Most of these could have been prevented if “we would have only known.” I have heard many horror stories after we landed in Beijing, but for some reason ours seemed the worst. Mainly, because it happened to us. And clearly because it’s somewhat horrific. Were we disappointed? Absolutely! Were we hurt? Of course! But we survived, we managed, and persevered. Now we seemed to have landed in the honeymoon stage of living in Beijing, a whole year and a half after we married the place. A bit late, but it was all worth it. We were asked to move to China ASAP. As in: “move here next month please.” So we broke our lease, arranged a moving company, and canceled the nursery my daughter went to. And I quit my job. 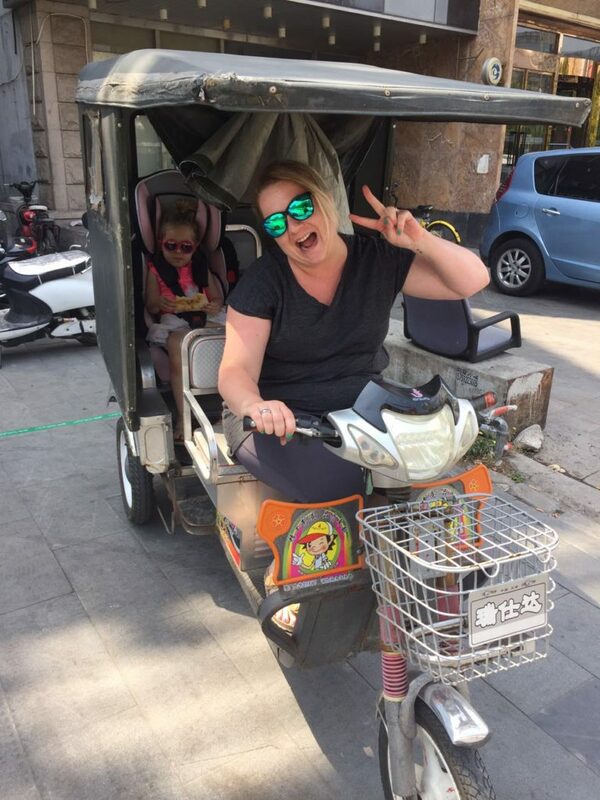 Turns out visas to China are not that easy, and I had to move to my home country till we could sort our visas, while my husband stayed to work in London. All our belongings were waiting in storage, and our home gone. We had to pay our visa expenses up front and would get reimbursed when we arrived in China. This is not something we ever anticipated, or had savings for. Breaking our apartment lease cost us the equivalent of RMB 10,000. Quitting my job, another RMB 10,000 loss. Visa expenses out of pocket: RMB 5000. My daughter’s and my flight home, since we did not have a home anymore: RMB 4000. After almost three months, one flight to Holland, one return flight to Switzerland, and countless “if you don’t sort it out I’ll divorce you” fights with my husband, our entire family visa was sorted, and we could take our flight to Beijing. Three one way tickets: RMB 25,000. We arrived, and my husband enjoyed two hours in Beijing before getting whisked off to work. Then we had to go house hunting. Rent in Beijing has to be paid usually three months up front, and you will have to pay one month deposit. Before we moved we were promised housing compensation, but our company provided that every month. Not three months at once, like the rent has to be paid here. This was a huge problem as we already “lost” so much money, and had exactly no savings left. Three days into our Beijing adventure, and we were already starting to feel unhinged. We had no help from anybody. Though you might think the company moving us here would be a bit more supportive, nothing could be further from the truth. Three months rent and one month deposit: RMB 56,000. Feeling uninformed: priceless. After we moved into our empty home, we had to run to IKEA for bedding, plates, and the other necessities: RMB 3000. The first haul of groceries, RMB 2000. And that was just to get us started. At this point we were working with international transfers to get some cash into our pockets. But our British bank had by some miracle completely forgotten that we had moved to China and blocked our cards, every single time we tried using them. First night in our new home: no money, no bedding, our four year old sleeping under some jackets, and dinner from 7/11. It was exactly as horrible as it sounds. Feeling like an absolute failure: priceless. We of course heard about the pollution and had some money saved for air cleaning machines, but that little pot of money was already empty before we’d even moved to Beijing. When we had the chance we bought one air purifying machine for the bedroom, at RMB 700. Later when we had money for more, we bought another extra five machines to get our home really healthy: RMB 3500. Those were the cheapest machines I could find. Then much later we bought a Laser Egg to be sure our home was really “clean” (RMB 600). Making sure our house was sealed meant another RMB 300 spent on supplies. We used disposable masks, but when we had enough funds we invested in some great masks, at RMB 350 per person. Clean air in Beijing, total: RMB 6150. I never did look at or research schooling in Beijing. It just never occurred to me that you would be charged for school. Maybe a small monthly fee for supplies, but certainly not the amounts I found here. We paid more than RMB 10,000 a month in London to live in a small one bedroom flat. We pay around RMB 10,000 a month for our 4 year old daughter’s schooling. This is with discounts. And the fact that we can even pay monthly is a miracle. Usually you pay school per semester, or per year. Our daughter could not attend school till we had been here for four months. We simply did not have the money for it. First month school and fees: RMB 10,000. We were super unlucky. After we moved into our new place I had to be rushed to the hospital with kidney stones, which had been there for a long time, and I needed emergency surgery. We were covered for 90% by our insurance, so we had 10% co-pay. We were sent, by HR, to the most expensive hospital in Beijing. Our 10% co-pay bill came up to a good old RMB 20,000. For which I was minus one kidney stone, and got a ride in the ambulance. Beijing’s water is somewhat peculiar. It makes your skin feel like you are a reptile and your nice blond locks will turn orange. Beijing water can’t be used as drinking water, and even taking a nice bath can spoil your skin forever. You can buy special water purifying systems. They cost an arm and a leg. We opted out of these and just add tons of coconut oil to our water, and use special blue shampoo so my hair does not turn orange. When you have a newborn it might be sensible to invest in one, but you can also just wing it. I have written about this horror story before. We had a huge shipment which took a wondrous eight months to arrive in China. We had to pay RMB 30,000 to get our precious belongings. By then, we’d also bought everything again. Total costs of moving to Beijing, without help, any information, or any guidance: RMB 181,150. Actually living in Beijing: Priceless.